Welcome to the University of Vermont's Fleming Museum of Art — a cultural treasure prized by Vermonters and visitors for more than 80 years. The Fleming Museum is located on the campus of the University of Vermont, which, chartered in 1791, is one of the nation's oldest universities. When the Museum opened in 1931, it was hailed as "a practical place of learning — a vibrant, ongoing educational institution for both children and adults." Today, the Museum houses Vermont's most comprehensive collection of art and anthropological artifacts. It presents innovative exhibitions of contemporary and historic art from around the world, complemented by year-round programming for all ages. Free to Museum members; faculty, staff, and students of UVM, Champlain College, and the Community College of Vermont; and children 6 and under. Become a member and enjoy free admission! The Museum is closed Mondays, holiday weekends, and during UVM’s winter, spring, and summer recess. Take Exit 14W. Proceed 1 mile west on Williston Road (Route 2). Stay in right lane, turn right for East Avenue. Go several blocks to the second stoplight; turn left onto Colchester Avenue. At first stoplight, take left into University of Vermont Medical Center. At stop sign, turn right; take first right into Fleming Museum Visitor Lot. See instructions under Parking Options for this lot. Enter Burlington from either direction. Turn onto Main Street (Route 2 East). Go uphill one light to South Prospect Street. Turn left onto South Prospect Street and then turn right at the next light onto Colchester Avenue. At the second light, turn right into University of Vermont Medical Center. At stop sign, turn right; take first right into Fleming Museum Visitor Lot. See instructions under Parking Options for this lot. (Pearl Street turns into Colchester Avenue at the top of the hill.) Proceed up the hill (away from the lake) until you come to University of Vermont Medical Center on your right. Turn right into University of Vermont Medical Center. At the stop sign, turn right, take first right into Fleming Museum Visitor Lot. See instructions under Parking Options for this lot. Proceeding through Winooski (Main Street), continue straight up the hill (this is now Colchester Avenue) until you reach University of Vermont Medical Center on your left. Turn left into University of Vermont Medical Center and proceed up the hospital driveway. At stop sign, turn right; take first right into Fleming Museum Visitor Lot. See instructions under Parking Options for this lot. Paid Parking is available in the Visitor Lot located between the Museum and The University of Vermont Medical Center. Visitors must use the ParkMobile app to pay for parking in this University-owned lot. Also, if you park in this lot, you must obtain a parking pass from the Reception Desk and then place it on your dashboard. A parking pass is also available for visitors without a smart phone for $2.50 for 2 hours. Free weekday evening (after 6:00 pm) and weekend parking is available in the University’s Votey Lot to the west of the Museum as well as across the street from the Museum, behind the offices at 46-48, 50-52 and 66 Colchester Ave. If the Fleming Visitors' Lot is full, turn left to get back to the hospital's driveway, and then turn right onto Colchester Ave. at the stoplight. At the next stoplight, go right on East Ave. Turn right again at the next stoplight onto Carrigan Drive. Go straight through the next stoplight to the top of the hill. The Water Tower will be on your right. Turn left into the University's Main Visitors' Lot. Again, you must use the ParkMobile app or the paid-parking kiosk, if available. The Visitors' Parking Lot is located on College Street, across the street from the Waterman administration building. You must pay for parking, 7 a.m. to 5 p.m., Monday through Friday. It is free after 5 p.m. and on weekends and holidays, otherwise you must pay use ParkMobile. Buses and large vehicles may enter the road between the Fleming Museum of Art and Perkins Hall to drop off visitors. Visitors may unload near the loading dock then proceed slowly passing the Grossman School of Business, bearing right to exit the roadway onto University Place. Buses may park in the Catamount West Parking Lot (CATS Bus Lot) next to UVM Rescue and the Helipad. From University Place, take a right onto Colchester Avenue. At the third stop light, take a right onto East Avenue. At the first stop light, take a left onto Catamount Drive. Buses may enter the CATS Bus Lot by entering the third driveway on the right, just past the UVM Library Annex. Download a campus map for bus parking (PDF). Sign up for one of our new K-12 Guided Tours, designed for classes across the curriculum to engage with meaningful objects from the Fleming’s collection. Sign-ups also available for art activities and self-guided tours. Learn more about K-12 tours. Learn more about academic membership to the museum that enables class visits for UVM and other area colleges, so they can use the museum’s collection as primary sources in their studies. Learn more about our academic programs. Explore opportunities for community groups, adult social services, senior centers, and religious groups to tour the museum’s special exhibitions and permanent collection. Discounts and admission reciprocals may apply. Learn more about our community group tours. The Fleming Museum is wheelchair accessible. Persons parking on campus with their Disability Parking placards/plates are not required to display a University of Vermont parking permit. If you have questions about accessibility for your visit, please contact the museum at 802-656-0750. We will actively look to address your requests for interpreters, elevators, quiet spaces, and other needs. 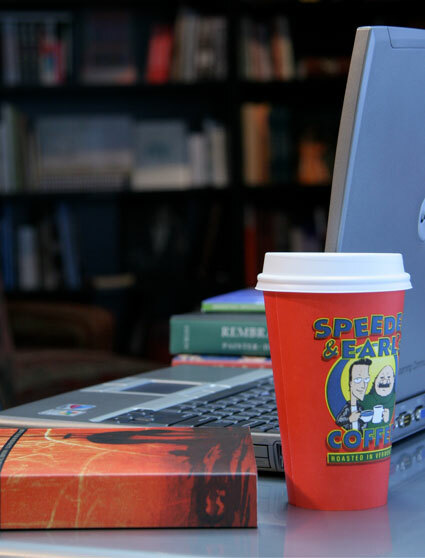 Offering Speeder and Earl’s coffee, refreshments, and a selection of books, cards, and gifts. 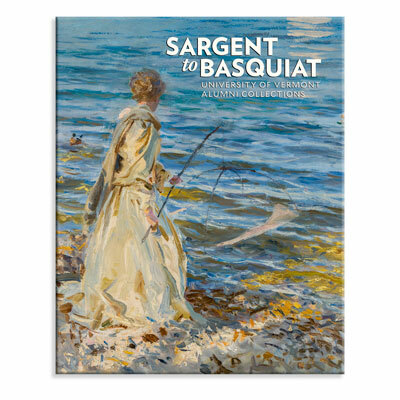 A listing of all our available exhibition catalog titles can be viewed on the ISD book distributor website. All requests to use any of the Museum's spaces, including the Marble Court and the auditorium must go through the University of Vermont's Event Services department.